One of my favorite things to do is organize ... I used a ladder I got from Peir One. Then I started placing little things on it. I used the wood sewing machine drawer for my belts... 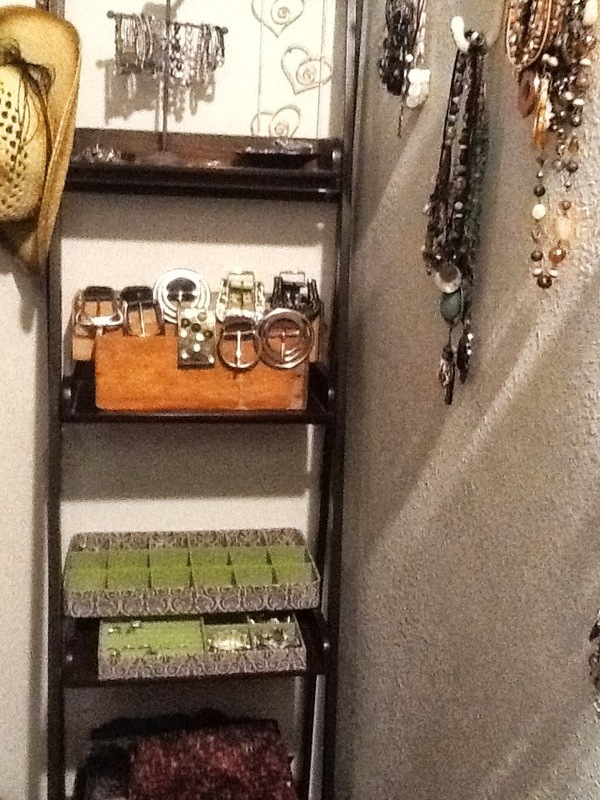 The little green trays are from TJ Maxx they worked great cause I could stack them. Notice the hooks on the wall I love them for my necklaces... Hope this helps someone out there to get your things in order <3 Happy organizing my friends !!! I would love to help !!!! !